Well it's last minute, but it's a douzy! Thanksgiving snuck up on us as we are just finishing putting our last reds to barrel. Our Thanksgiving Special this year are 3 world class wines that will have your family asking where did you get that! 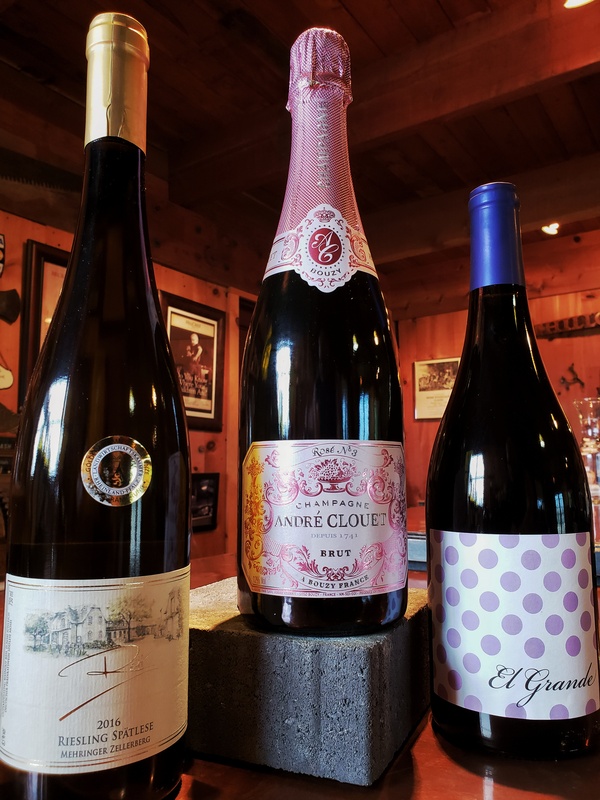 This selection starts off with a Rose Champagne from a small artisan producer that shows the beautiful side of Pinot Noir with bubbles and yes this is the real thing. We must of course have Riesling and this is one of the best wines I have had in the last 2 years. Made from super steep vineyards, that were planted in 1906, it is what I will be drinking. And finally what many consider to be the best Tempranillo we have ever made... the one and only 2012 El Grande. Usually $130 our special Thanksgiving package is $99. Only one caveat and that is that it won't be ready for pickup or shipping until Saturday the 17. Happy Thanksgiving from the DeMara family.